St. Cristiolus, Eglwyswrw. 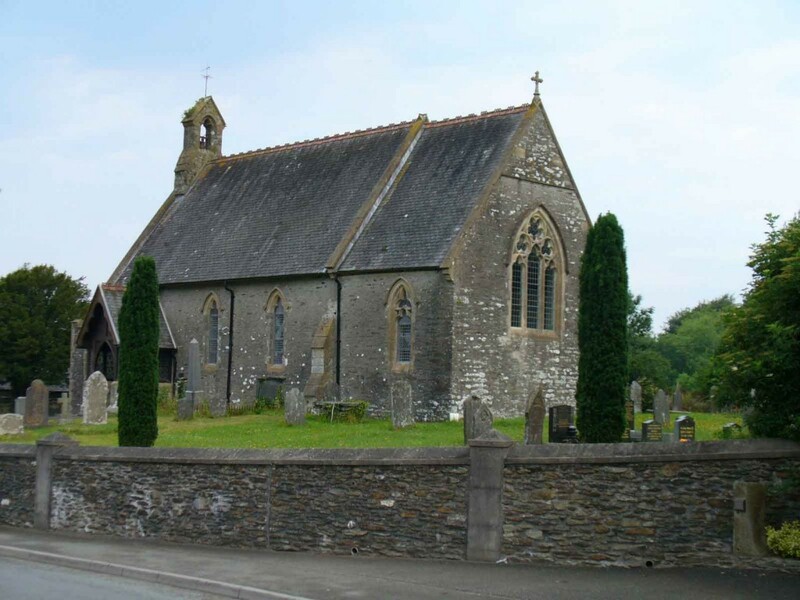 - The Parish of Cilgerran with Eglwyswrw, Bridell, and Llantood . 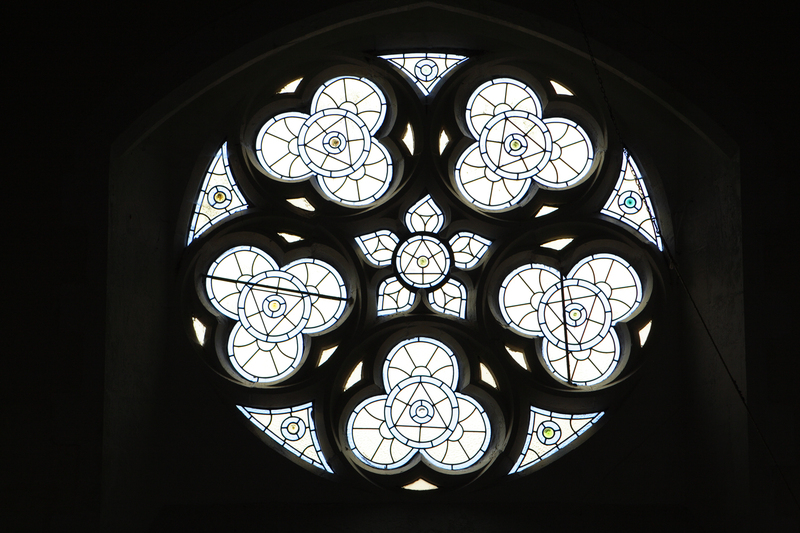 Location of the new War Memorial beneath the rose window. 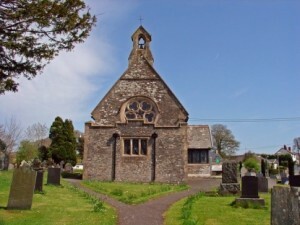 The church of Saint Cristiolus stands high on a mound in the centre of the village of Eglwyswrw in North Pembrokeshire at the junction of the A487 and B4332 roads. It occupies the site of an ancient Celtic church and has been rebuilt several times over the centuries. The present building dates from 1829 but early in the 20th century an extension was built on the western end of the church. This features the beautiful rose or wheel window, so called because of its patterned tracery arranged to radiate from the centre. If there are five Sundays in the month,we hold a United Service of Holy Communion at 10.30hr at one of the three Churches in the Benefice.